As spring is upon us and summer quickly begins to approach, more and more individuals are searching for the best workout classes that are most suitable for their needs. From full-body cardio training to intensive strength training, there are many different types of fitness classes that can be beneficial for a wide range of individuals. However, if you have never been to a fitness center before, then you may be having some difficulty finding the perfect fitness class for your specific needs. That’s why, in today’s article, we will be taking a look at some of the workout classes offered at L.I.F.E Health & Fitness so that you can get a better understanding of which classes are right for you.  At L.I.F.E Health & Fitness in Quincy, Massachusetts, we are dedicated to helping all of our clients reach their highest levels of physical fitness so that they can feel empowered while boosting their self-confidence, self-esteem, and wellbeing. Whether you are wanting to burn excess belly fat or you’re wanting to learn how to box from certified instructors, our fitness center is perfect for your needs. Not to mention, you can find all of your post-workout supplements with ease at our fitness center as we sell protein bars, protein shakes, meal replacement mix, and so much more. To learn about some of our many offered classes at L.I.F.E Health & Fitness in Quincy, continue reading more below. Named aptly after a workout regimen often taught in the military, bootcamp is an indoor circuit workout that focuses on bodyweight workouts, minimal rest time, and maximum gains. Bootcamp can be incredibly challenging for some individuals, but fortunately, you will be surrounded by other supportive members of our fitness center that are invested in your success just as much as their own. While this workout regimen is less than an hour in duration, you will most certainly feel the residual effects of a strenuous workout. Taught on Monday and Saturday, our instructed boxing classes are perfect for individuals that are wanting to get in shape while learning the basic techniques of boxing. In fact, our boxing instructors are certified veterans, with more than 40 years of expertise in the combat sport. Boxing is one of the best ways that you can improve your cardio while growing stronger with every workout, not to mention that you will be able to throw flawless punches by the end of your training. Looking to shed belly fat while toning your glutes? If so, then our Butts & Gutts program is perfect for your needs. This one-hour fitness class is taught on Monday and Saturday, and is a great way for you to get in shape while making friends along the way. During our Butts & Guts program, you will be able to strengthen your core while listening to energetic music. This course is designed to help you build power in the glutes and the core, ultimately helping your low-back muscles to become strengthened as well! If you are wanting to work your upper body specifically, then you need to sign up for our conditioning upper body class today! During this entry-level class, participants will focus solely on the chest, arms, and core. So, whether you are wanting to add volume to your biceps and triceps, or you’re simply wanting to strengthen your pecs, then our upper-body conditioning class is perfect for your needs. Similar to our upper-body conditioning class, our lower-body conditioning class targets the hamstrings, quads, and glutes so that you can tone your legs while developing functional strength. Once you’ve completed our lower-body fitness class, you will be able complete perfect squats and lunges with little to no effort. If you are looking for a workout class that combines both lower- and upper-body workouts, consider enrolling in our full-body conditioning class today. This fitness class implements both resistance workouts and cardio so that you can melt body fat while getting stronger at the same time. While this is only a one-hour workout routine, you are sure to see results with consistent training. One of the best ways to easily develop every muscle of your body is by taking part in a cross training class at L.I.F.E Health & Fitness. Cross training is designed to provide participants with a true full-body workout, and can also work to improve your level of cardio simultaneously. One of the best cardio programs in recent years is the INSANITY™ program. This class is not for the faint of heart, but the results that it provides are nothing short of incredible. This program focuses on max interval training, meaning minimal rest time and maximum strength, resistance, and core drills. Are you looking for a solid workout that is designed to boost your cardio levels and increase your flexibility? If so, then PiYo® is an exceptional workout for your needs. This revolutionary program blends Pilates and yoga into one, seamless workout which can help to melt fat and reduce the risk of injury in day-to-day life. If none of the programs listed above sound like they are suitable for your needs, you may benefit from working with an instructor in a small group setting. These workouts are easy to follow, can provide participants with measurable results, and will leave you with a boost in confidence throughout your day! If you are interested in learning more about our fitness classes, or you would simply like to sign up today for one of our workout programs, visit our website today! We work hard to ensure that everyone that enters our doors feels safe and welcome in a friendly environment, and we know that you will love all that our fitness center has to offer. Our goal at L.I.F.E Health & Fitness Center is to help you reach your highest levels of fitness, and that starts by providing unmatched instruction and training techniques for all of our clients.